Game room opens at 1:00pm, Side tournament starts at 3:00pm, Main tournament starts at 4:00pm. 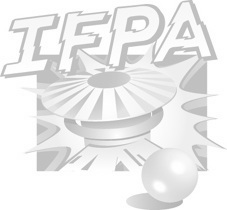 Event will be submitted to IFPA for points. Maximum number of players is 24 so register as soon as possible by sending the $10 registration fee via paypal to the email address blembesis@gmail.com, include the player(s) name(s) in the comments section. Payment must be sent as a “gift” through paypal. We will run a target match play tournament. Players will be randomly placed in a 4-player group (occasionally 3-player) on a random game. Points will be awarded based upon performance on that machine (4/2/1/0) and added to a running total for the tournament. Three-player groups will be scored (4/2/1). A player qualifies for finals by reaching or passing a target value of 15 points at which point the player no longer competes in the qualification rounds. There will be a side tournament on Hi-Score Pool. Each participant in the main tournament will be eligible to participate in our side tournament. Qualifying will be open from 3pm to 6pm with the top 8 scores advancing to the finals. Players may make as many attempts as they wish during the qualifying time.